If you are in need of technical support, we are only a telephone call away. With a new software package, you receive ninety days of support at no charge. We will quickly prioritize your call and a trained technical support analyst will promptly return your call with a solution. The support number is (866) 563-6806. A training schedule is available so you can arrange in advance to attend the instruction of your choice. This training is held in the CDCI classroom in Atlanta as well as various other locations around the U.S. Our training consultant can help recommend hotels or other area attractions. For a list of upcoming training dates, visit our training page. If you would like to register for a class please call (866) 563-6806. Our trainers are available to come to your place of business and conduct onsite training right in your office. This type of training is beneficial when a number of your employees or coworkers want to obtain the training. You can schedule different people for portions of the training and all of your information is readily available to work on your system. To schedule on site training call (866) 563-6806. We at CDCI guarantee that our products perform per our specification and we are not happy until you are satisfied. It is always our intention to service our customers to the best of our ability. This is not just a guarantee but also the type of relationship that we want for a lifetime. Would you like to log a Support Request directly from the Web? Fill out this easy form to help avoid miscommunication. To read on-line Learning Companions (and other PDF's): This utility is used for viewing Acrobat or portable document files (.pdf) as a browser plugin for viewing the files online, or as a freestanding utility for viewing the files after they have been downloaded. Download it for free from the Adobe web site. To read compressed ("zipped up") files: Sometimes you need to get data or program files from a backup file which you might not be able to extract with a normal restore function. 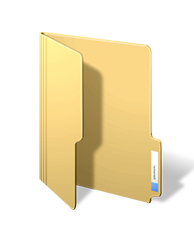 These backup files, with the ZIP extension, can be opened with third party utilities. Download an evaluation copy from the WinZIP web site.